Art Wood Carving is well established family run business with a wealth of experience specialising in high quality art joinery and wood carving for clients throughout the UK. We are a team of highly skilled craftsmen and use traditional methods and materials to produce a broad range of bespoke souvenir barrels. 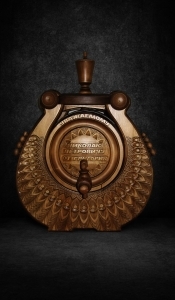 Here you will find works of the trained artisan and master carver with expertise in design, drawing and fabrication of quality oak barrels in classical styles - Dmitry Kara. He is art woodcarver with over 45 years of experience of unparalleled design, technique and execution. 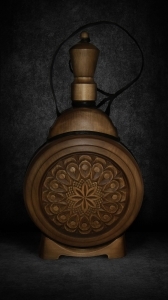 The range extends from carved oak barrels and flasks to decorative roses and a panel. Products are made strictly by hand. In over 45 years of his creativity decorative barrels extended more than in 20 countries of the world: Great Britain, Spain, Italy, France, Germany, Israel, Turkey, Bulgaria, Slovenia, Russia, Ukraine and several countries in South and North America.